Delivering outstanding convenience, this quality air conditioned appointed townhouse offers beautiful open plan interiors extending to a private north facing alfresco courtyard. 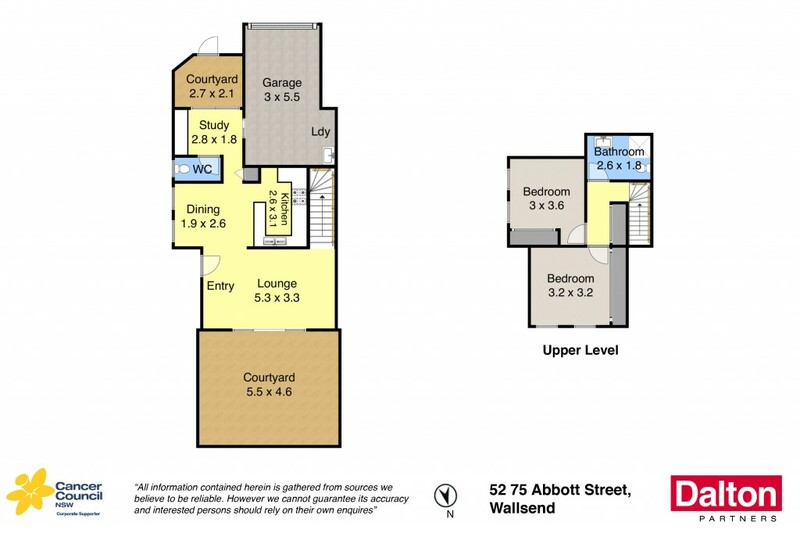 Two generously proportioned bedrooms supported by a stylish bathroom, premium gas kitchen, designated study, useful second wc and single garage. Presenting as new, it is also brilliantly positioned moments from Stockland Jesmond, major arterial roads, beautiful Jesmond Park and Callaghan University making it instantly appealing to savvy investors, young professionals and market newcomers seeking an easy care contemporary home. * Designer townhouse moments from Stockland Jesmond and Uni. * Open plan living areas flow to private, sunny courtyard. * Glossy gas-equipped kitchen with premium appliances. * Two robed bedrooms supported by a stylish bathroom. * Ducted air conditioning for seasonal comfort. * Designated study, single garage, convenient second wc.